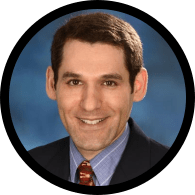 Adam Spanier, MD, MPH, PhD, FAAP, is an Associate Professor of Pediatrics at the University of Maryland. A graduate of Louisiana State University Health Sciences Center in New Orleans, he trained in Pediatrics at Rainbow Babies & Children's Hospital in Cleveland, OH. He also completed a combined General Pediatrics and Pediatric Environmental Health Research Fellowship at Cincinnati Children's Hospital in Cincinnati, OH. Dr. Spanier has focused on Pediatric Environmental Health research and clinical care for his entire medical career. His research centers mostly on pediatric asthma and the environment (tobacco smoke, particulates, allergens, etc), but it has also included lead poisoning and injury prevention. From 2007-2009, he was the medical director of the Pediatric Lead Clinic in Cincinnati, leading the clinic's expansion into the Pediatric Environmental Health Specialty Unit affiliated Pediatric Environmental Health Clinic. He is the editor of the Environmental Health Column of Public Health Reports, the official journal of the U.S. Public Health Service. He is also a member of the EPA's Child Health Protection Advisory Committee. He is a member of the executive committee of the American Academy of Pediatrics Council on Environmental Health. He is the division head for General Pediatrics and the medical director of Pediatrics at Midtown, the University of Maryland Department of Pediatrics outpatient General Pediatrics Clinic.